Your first wedding anniversary is a perfect time to remind your husband of how much you love him. 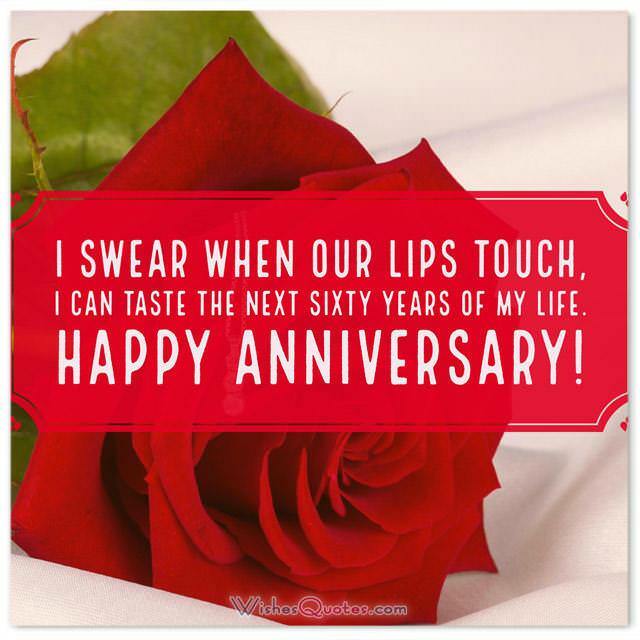 Here is a list of romantic first wedding anniversary messages to send him on this special day. Today, for most, is just another regular day. Yet, for you two, today marks one year since you became a married couple! How exciting! I can’t even imagine how happy everyone must be feeling right now. You probably didn’t even know what it meant to be married to someone before. I’m sure you’ve gone through ups and downs, highs and lows, even if we have been together only for a year. Yet, for you to be here reading this, it means you got through all of the hardships, and you ended up stronger than before after each one. But the time has come, you have to wish something and you have no idea what! Well, here, we’ve done all the work for you! 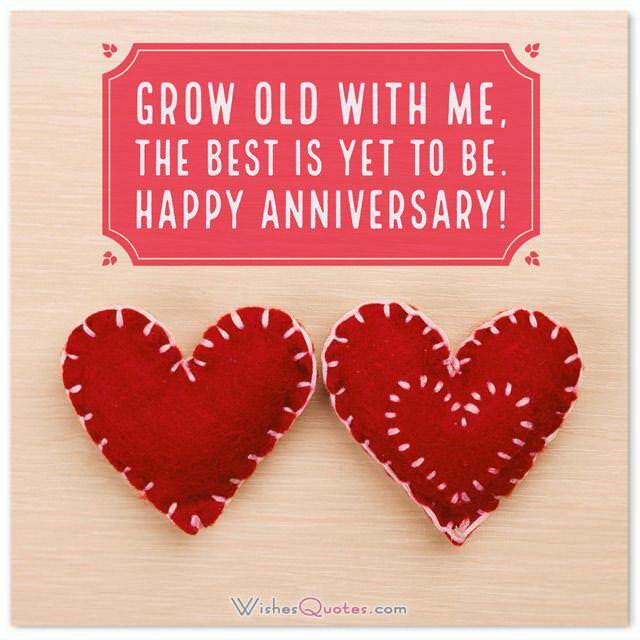 Here are the best first anniversary wishes for your husband! Each day I’ve spent with you as your wife, I’ve found myself loving you even more than the last one. That means, that in the day that marks our first anniversary, I love you 365 times more! Happy anniversary! My dear husband, thank you for providing me with the best year of my life. I truly hope we get to experience many more. Happy anniversary! I want to say thank you to the man that changed my life by giving me 365 of the best days in my life. Your presence alone makes my day better. Happy anniversary! This past year, I’ve been waking up every day to the sight of you looking at me, smiling. No matter how much beautiful artwork I see, that image will never be surpassed. Happy anniversary, I love you! Ever since we got married, your actions keep reminding me that I’ve never made a better choice in my life. You truly are not only a perfect husband, but the love of my life as well. Happy anniversary! One of the many things you’ve proved me ever since we’ve gotten married is that with you, one year can seem like a moment, and without you, a second can seem like a century. 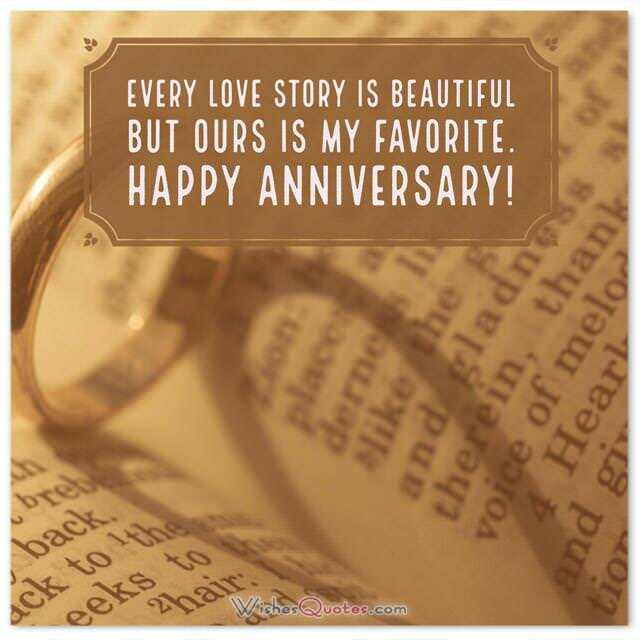 Happy first anniversary my love. Before I met you, I used to watch the moon so I can experience beauty. Now, I only need your smile. Happy first anniversary! I have never seen a person that can be a perfect husband for 365 days straight, but our first year of marriage proved today that you are an exception to the rule. Happy first anniversary! I really expected our first anniversary to feel different, like it was something special, since, by definition is a day where we are reminded of the reasons we love each other. Yet, it seems just like another day, when I fall deeply in love with you, again and again, every time I look into your eyes. Happy first anniversary, I love you! Do you feel it in the air? It’s the smell of your favorite food, waiting for you to come home so we can celebrate our first anniversary today! I love you, can’t wait to see you again! On paper, 365 days seem like a lot, yet, you made those days so perfect, I want 365 more! I love you like nothing else in this world. Happy first anniversary! Thank you for providing me an entire year of me falling in love with you every single day, I haven’t been more proud as a woman than when I got to call you my husband for the first time, and then for each and every day after that. Happy first anniversary! I don’t believe in miracles, yet, I have no real way to describe what this past year was. You’ve made my life seem like a fairy tale, and for that, I love you. Happy anniversary! This past year has been the most extraordinary, fun, and most importantly, crazy year of my life. And for that, I have you to thank, my lovely husband. Happy anniversary! Before we got married, I thought that the spark we had at the start of our relationship would eventually fade. Yet, with you as my husband, it evolved into the craziest fire my heart has ever seen. Happy first anniversary!